The Man of Bronze returns as the pulps’ greatest superman confronts The Devil Genghis, John Sunlight, a mad genius armed with incredible scientific inventions stolen from Doc Savage’s Fortress of Solitude. 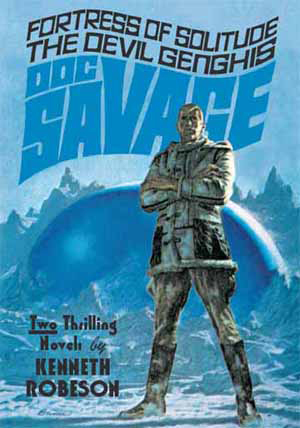 Doc Savage and his Iron Crew return in two thrilling novels by Lester Dent writing as Kenneth Robeson. This double-novel volume reprints both appearances of Doc Savage’s greatest enemy, the diabolical John Sunlight. This 7″x10″ trade paperback marks the return of Lester Dent’s original Doc Savage novels after a 15-year hiatus. 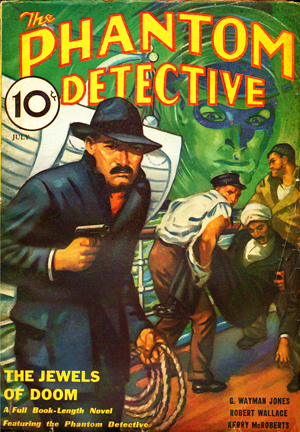 Doc Savage Magazine was one of the most popular of the hero pulps, published from 1933 through 1949 by Street & Smith as the sister publication to The Shadow Magazine. 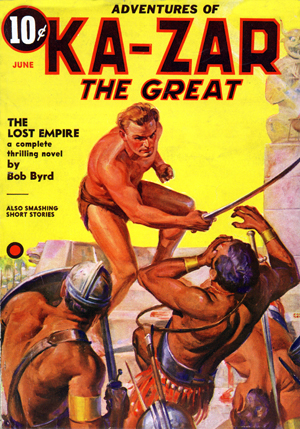 The Doc Savage pulp novels were reprinted by Bantam between 1964 and 1991, and created a publishing sensation as the first numbered series of paperback adventure novels. 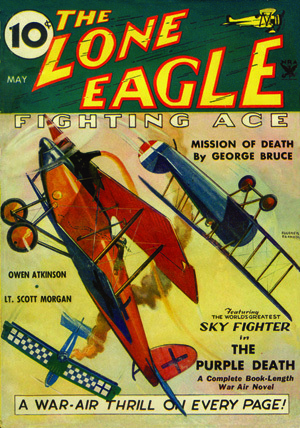 Doc Savage #1 features the original pulp cover paintings by Emery Clarke from the October and December 1938 issues of Doc Savage, along with the original interior illustrations by Paul Orban. Doc Savage #1 also comes in a variant cover edition featuring art by James Bama. Both cover versions will reprint both of the original pulp covers in smaller size on the back cover.